Although they are different names, it’s the same basic feature in every browser. 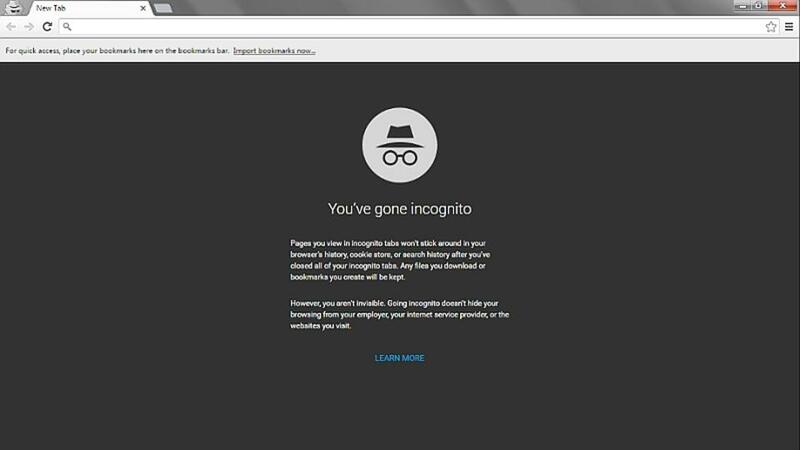 Private browsing offers some improved privacy, however it doesn’t make you completely anonymous online. There are plenty of valid reasons to use private browsing mode. You can use it to log into multiple email, social network, or bank accounts at the same time. Trying to surprise someone with a gift or vacation plans? Private browsing will help keep your activities quiet. If you’re using a computer in a hotel lobby or library for example to access your accounts, it always carries a certain amount of risk however private browsing can reduce it. If you have to check your email or sign into Facebook, it's still a good idea to use private browsing to make sure your activities vanish when you close the window. Bits of web pages to speed page load times in the future (also known as the cache). Cookies from the website you’re visiting, however some may be kept for the duration of the private browsing session & will be immediately discarded when you close your browser. Downloaded files and bookmarks stick around even after you close the Private Browsing window. You need to remove these manually if you don’t want them to stay on your computer or device. Regardless of what browser you’re using on a computer, tablet, or phone the temporary browsing data is removed however it's still very possible to see what you've been doing as routers, firewalls, and proxy servers could be keeping tabs on your browsing activities, and private browsing mode won't get in the way of that. Private browsing prevents people from snooping on your web browsing after it’s occurred, but they can still snoop while it’s occurring – assuming they have access to your computer. If your computer is secure, you shouldn’t have to worry about this. Private Browsing prevents your web browser from storing data about you, but it doesn’t stop other applications that may be on your computer already from monitoring your browsing. If you have a key logger or spyware application running on your computer, that application could monitor your browsing activity. Private browsing only affects your computer. It doesn’t have any effect on telling other computers, servers, and routers to forget your browsing history. For example, even if you’re on your own network at home, the request goes through your Internet service provider who can log the traffic at this point & then the request reaches the website’s server itself, where the server can log your access. Private browsing doesn’t stop any of this logging. It doesn’t leave any history lying around on your computer for people to see, but your history can always be – and usually is — logged elsewhere. You'll need additional apps. The TOR browser and a VPN connection to a trustworthy provider -- especially used together -- will offer you much better privacy protection. Even then, it's best to assume that your browsing still isn't totally private. TOR users have had their identities exposed in the past and VPN providers aren't necessarily beyond the reach of law enforcement. Keep at look out for our next post which is a great guide on using safer passwords.